15 Creative and Functional Reuses of Rulers and Yardsticks. Here are some creative and functional uses of rulers and yardsticks from all over the world. 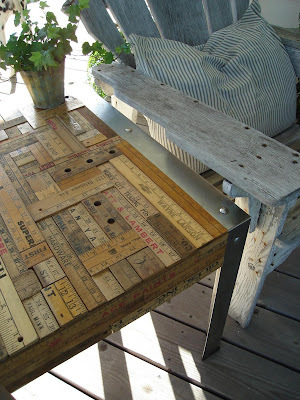 Ruler Table by Beth Schaleben: If you have a collection of rulers or yardsticks, then making a rulers table would be a good option. 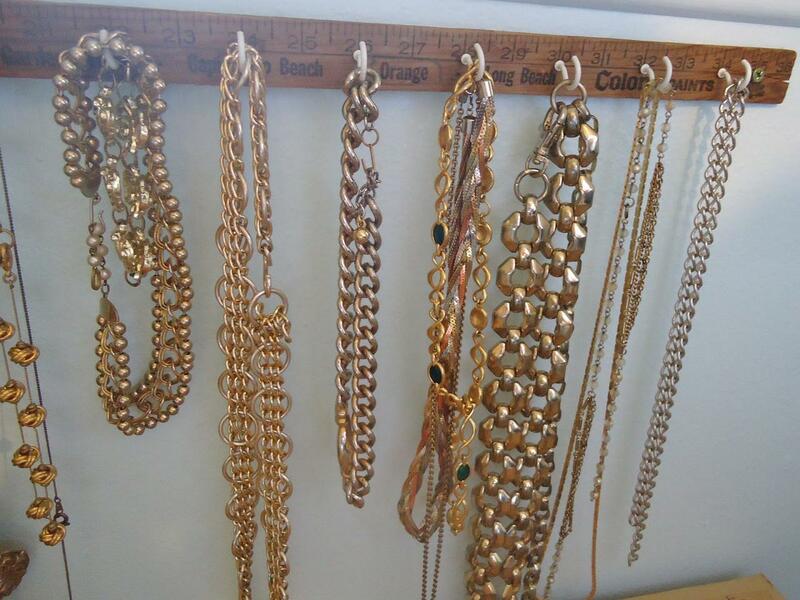 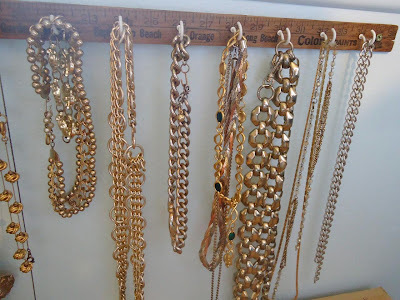 Yardstick Jewelry Racks by Karen Rutledge: It's an easy project that you can make using an old yardstick or a ruler; just follow the step-by-step instructions. 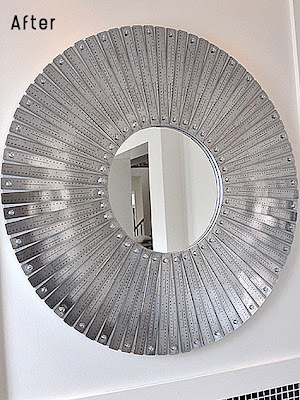 Ruler Wall Mirror by Karen: Until one sees this, you wont believe that simple materials like rulers can be used in a creative way. 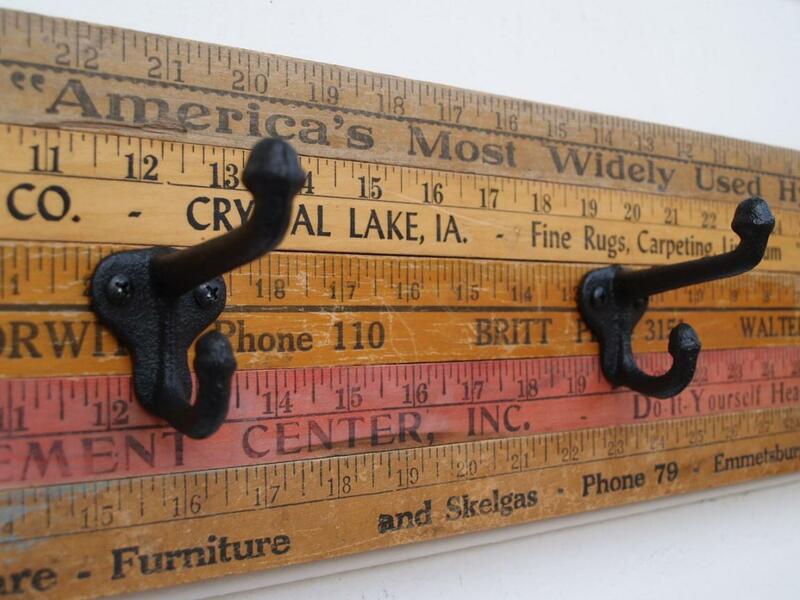 Ruler Vase Holder by Melaine: A cool vase holder created using vintage yardsticks. Yardstick Buffet Furniture by Laura@Corner House: If you have buffet furniture and lots of yardsticks, then this is an interesting and creative option for you. 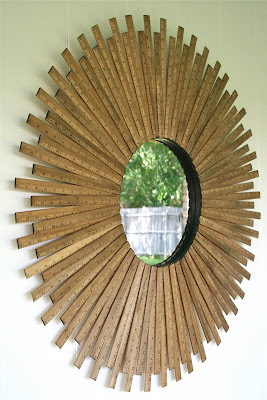 Metal-Ruler Mirror by Karen: Another creative creation of Karen using 78 metal rulers. 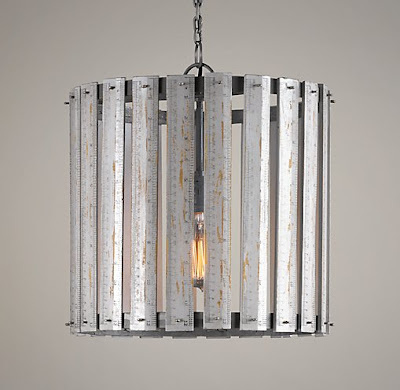 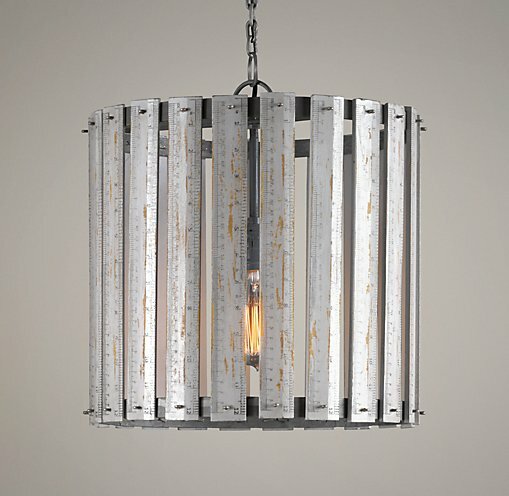 Ruler Pendant Lamp by Blair: A cool ruler pendant lamp created by Blair. 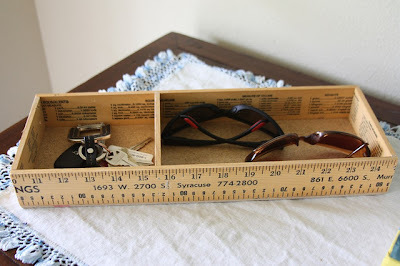 Ruler Box by Brook: It is made of old yardsticks and the ruler box bottom is made from hardboard. Vintage Yardstick Coat Racks: These clever coat/hat racks are made from vintage yardsticks and comes with four hooks for coats, bags, hats, towels, decorations, or anything else you'd like. 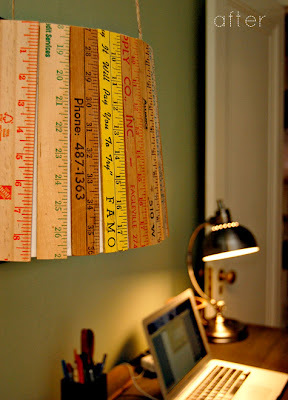 Vintage Ruler Pendant Lamp: Made from vintage wood rulers; best suited for playroom, study or bedroom. 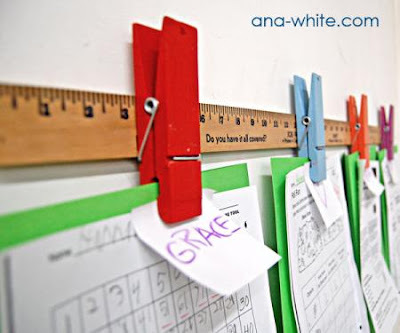 Ruler Clip Art Rails by A White: Made from clothespins and a wood yardstick. Vintage Ruler Table Lamp: This gorgeous vintage ruler table lamp made from vintage rulers measures 34cm in height, 23cm in diameter. Cool and Creative Staple Art. 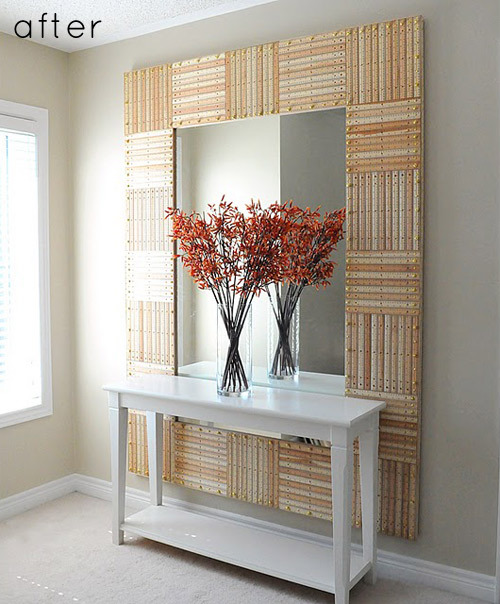 3D Phone Book Art by Alex Queral. 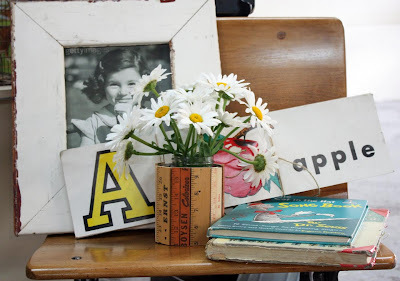 15 Creative and Cool Bookmarks - Part 2. 22 Clever and Creative Calendar Inspired Advertisements. 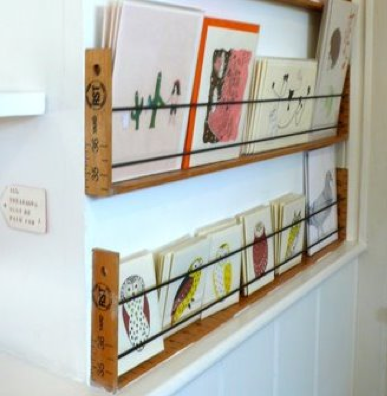 25 Creative and Cool Shark Inspired Products and Designs.